If you have been wondering why I've only published one blog post in the last 36 hours, your answer has arrived. 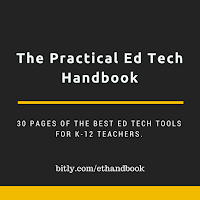 For the last couple of days I've been assembling a collection of my favorite ed tech resources and organizing them into a PDF that I'm calling The Practical Ed Tech Handbook. This isn't just a list of my favorite resources. 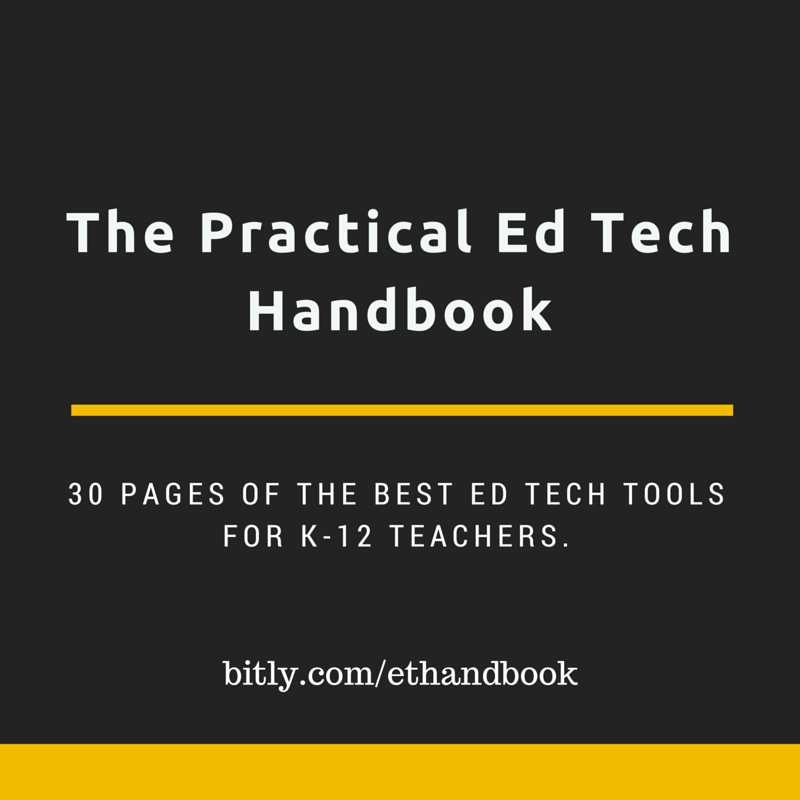 I've included ideas for using these resources and in many cases I've included links to video tutorials about my favorite resources.